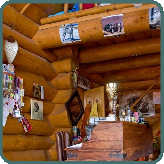 In a log house, unlike in other wooden houses, both the inner and outer walls offer the same sight and experience. The uneven, rustic sight and graining of the log spheres suggest the calm of nature. 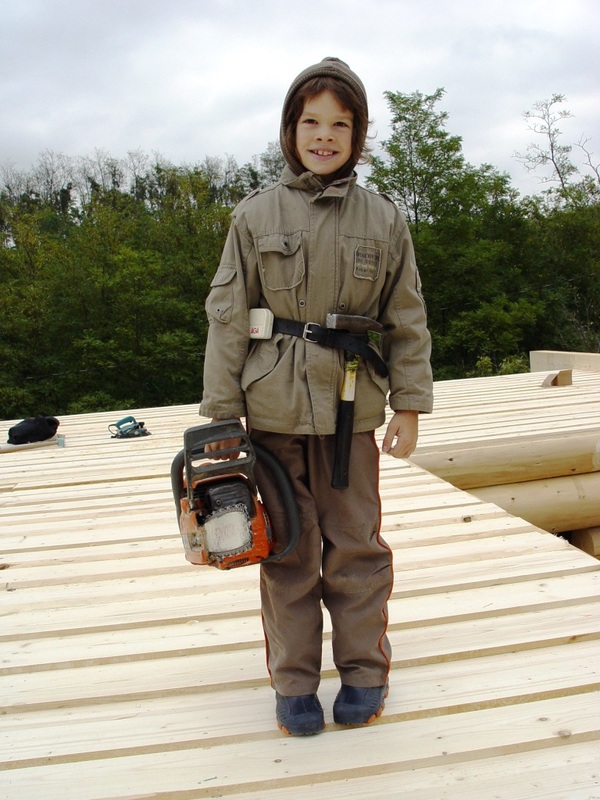 In order to achieve this we have blended the technology of the Alaskan and Scandinavian loghouse building (scandinavian full scribe) with the Szekler wooden house building tradition. As far as technology is concerned ... a couple of logs, a good chain-saw, a chisel and building may begin... 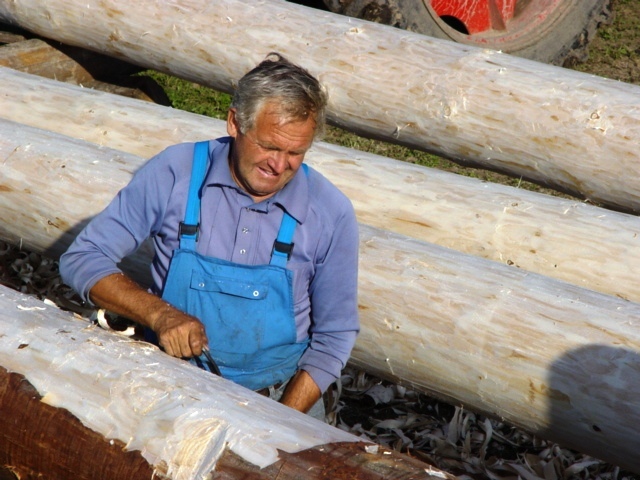 The fitting of the carefully chosen logs is made with special scribe. The contour of the logs, fitted by means of scribe, is sculpted by hand. 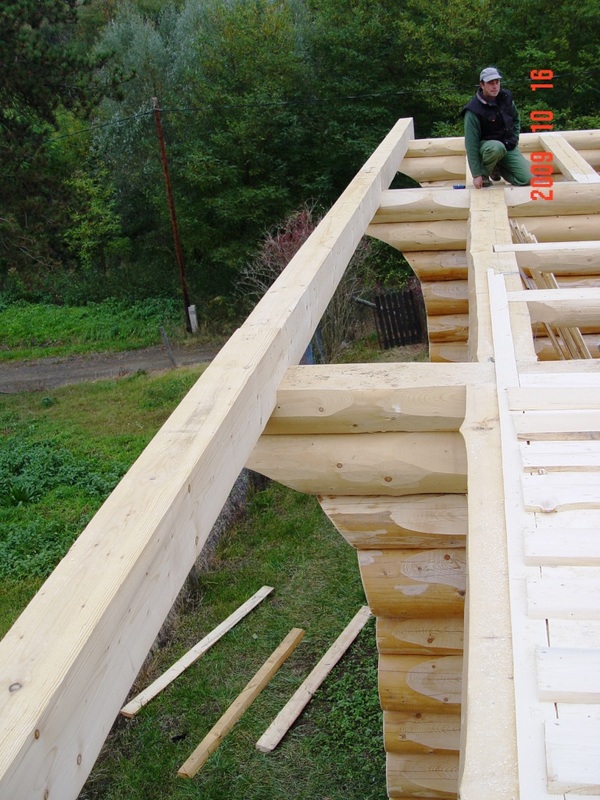 The fitting is made in such a way that during drying the logs may settle, thus ensuring perfect insulation. 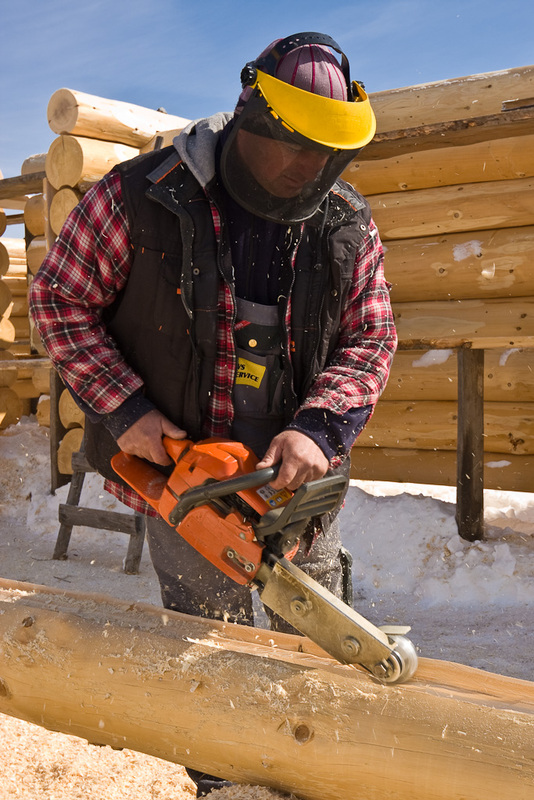 Does the spruce have the necessary qualities for log house building? Yes, it does if it was exploited from the appropriate place and time. The logs we use are exploited from a height which is at least 1000 m above sea level, in the appropriate season, and according to the proper position of the moon. Taking these criteria into consideration, the solidity of such spruce, having small annual rings, has the solidity of hard wood. How long does the drying of the wood and the shrinkage of the building last and how can these be taken into consideration with respect to the doors and windows? They last for a couple of months but total drying and shrinkage take 3 to 5 years, depending on climate and height above sea level. We work from raw wood , in this condition wood is easier to shape. By our technology (overscribe) wood dries built into the house, in a natural way. Shrinkage is influenced by the quality of wood, this is why we use only wood with even growth and without twisting. Due to this fact there is no tension inside the log and the gaps which may appear are fewer and smaller. 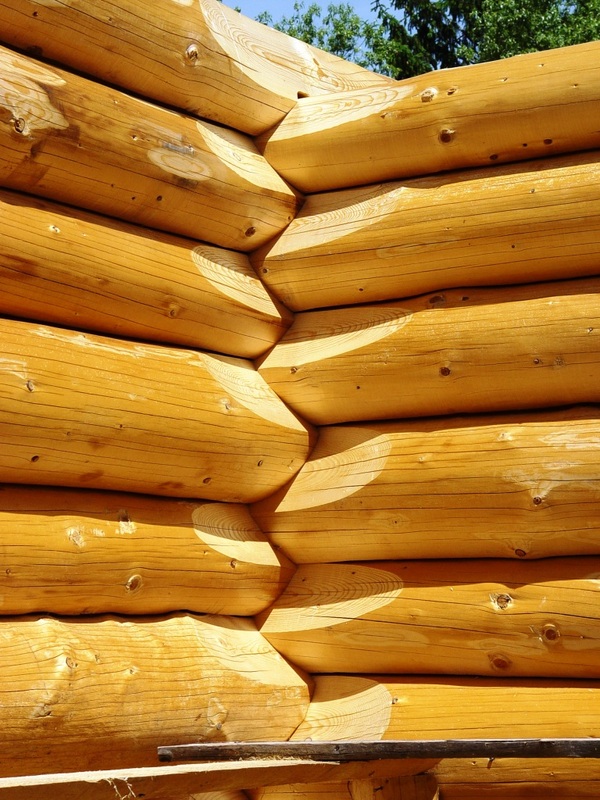 During drying spruce loses 4-8% of its volume. Taking 5% shrinkage, a 2.10 m high door can lose 10.5 plus 2 cm safety luft. How are the logs insulated? A very good and natural material for insulation is wool. For this purpose hemp and cotton (rock wool) can also be used. Is the loghouse hot and light? white-washed house. 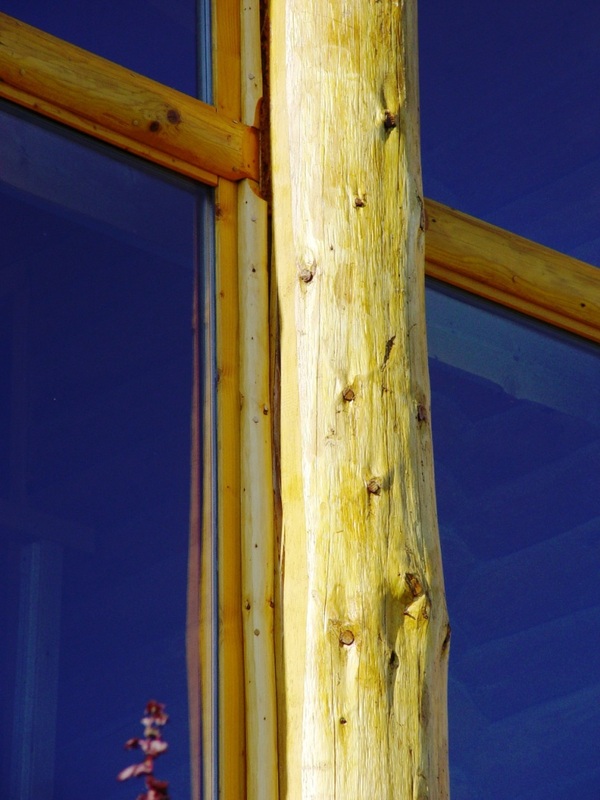 A large window is a good source of light and heat in winter when the position of the sun is low; at the same time with appropriate shading, the log house will not be overheated during summertime. - Handcrafted Log building shell 2, included: interior and exterior log walls, roof system, log ceiling joists, shipping, assembling, without doors and windows. 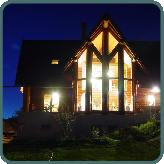 - Handcrafted Log building shell 3, included: interior and exterior log walls, roof system, log ceiling joists, shipping, assembling, with doors and windows.